Helping Animals, Those Without a Voice: Inauguration Day 2017! Welcome to "Helping Animals, Those Without a Voice," the official blog of 2017 Connecticut's Kid Governor® Jessica Brocksom! 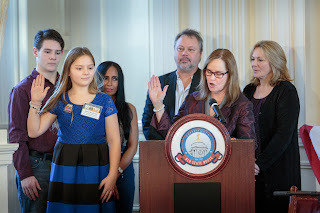 Learn more about Jessica's campaign, the humane treatment of animals, ways you can speak up for animals, and how you can make a difference in your community by reading her regular blog posts and by visiting CT.KidGovernor.org. Hey guys! 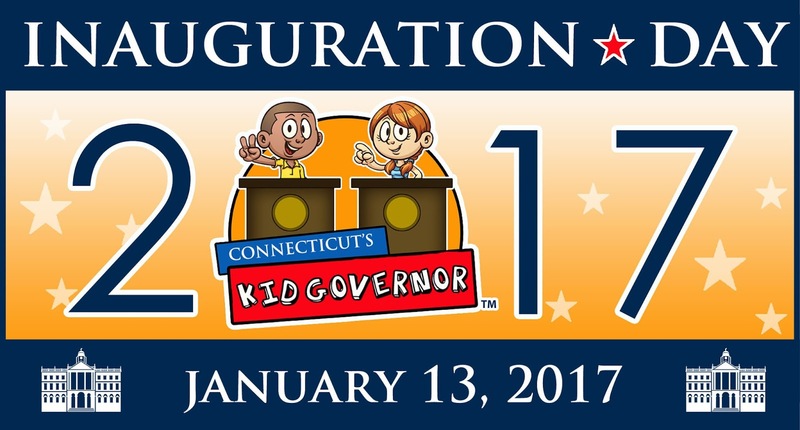 Last month was Inauguration Day 2017, my official inauguration as the 2017 Connecticut's Kid Governor. I want to tell you all about that amazing day! So many people came (more than 250! ), and I was able to meet some very inspiring people like: Governor Dannel Malloy, United States Senator Richard Blumenthal, Secretary of the State Denise Merrill, State Senator Gayle Slossberg, State Representative Kim Rose, State Representative Charles Ferraro, State Representative Pam Staneski, Commissioner of Education Dianna Wentzell, and so many others. Me at Inauguration Day 2017 alongside dignitaries, special guests, 2016 CKG Elena Tipton, and the other six finalists from the Statewide Election. 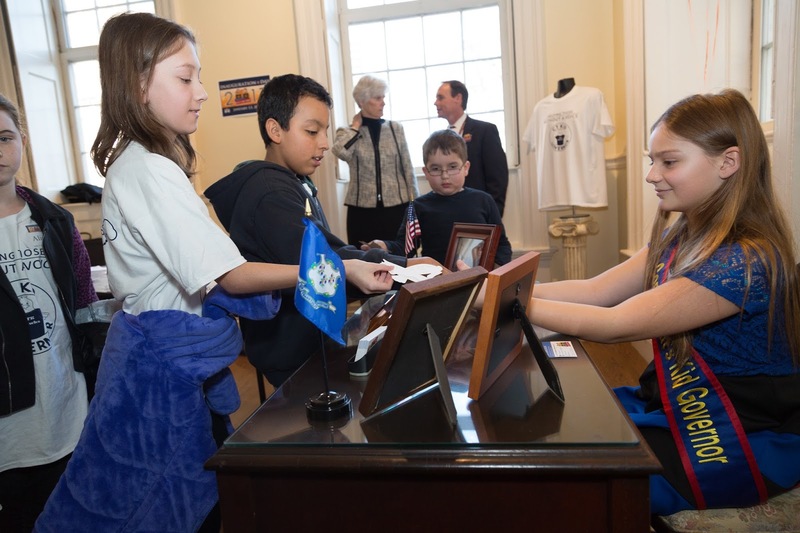 I also had the opportunity to meet the other six finalists in the 2016 Connecticut's Kid Governor election. They all had great platforms as well! At first I was a little overwhelmed by all the people, cameras,and news crews, but everyone was so kind, and helped me feel at ease. We heard from our dignitaries during the Inauguration ceremony, and Secretary Merrill gave me the official Oath of Office. The six finalists and I participated in a news conference and answered questions from our classmates about our platforms and experiences as candidates for Kid Governor. 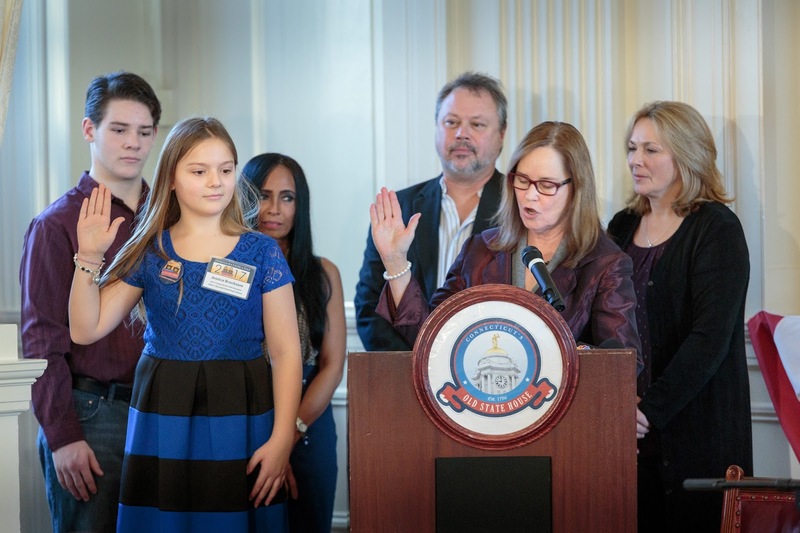 Taking the Kid Governor Oath of Office! Later, I got to hold an activity in my office for all the kids that came. I answered questions about how many siblings I have, and how many pets I have (by the way, I have 3 rescued cats, 1 rescued dog, 2 horses, and 1 brother.) They also asked me questions about what I am going to do with my platform. My favorite part of Inauguration Day was meeting all the students from the other classes and answering their questions. My day was incredible! 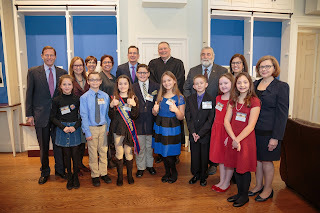 For more about Inauguration Day and to see more photos from the event, please visit the Connecticut's Kid Governor website and read the recap HERE. Make sure you email me all the great things you are doing to help the animals! You can email me at CKGJessica@KidGovernor.org. Maybe you will get a shout out in a future blog post. Follow CKG Jessica and her campaign to give animals a voice! 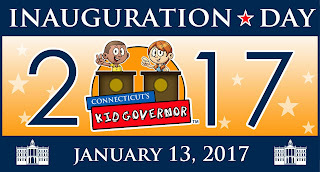 Connecticut's Kid Governor™ is a national award-winning statewide civics program created by the Connecticut Public Affairs Network. ©Connecticut Public Affairs Network, 2016. All Rights Reserved. . Simple theme. Powered by Blogger.